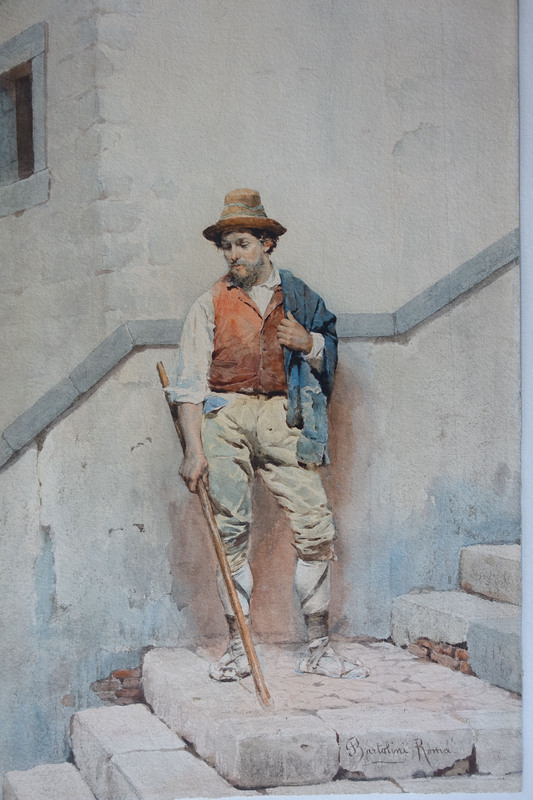 A beautiful Italian Realist watercolour portrait of a peasant working man by the 19th century Italian artist Federico Bartolini. Painted circa 1890. Signed lower right Bartolini Roma. Gilded Watts frame 32 inches by 21 inches approx. In gallery condition. Federico Bartolini studied at the Academy of San Luca in Rome in 1861. 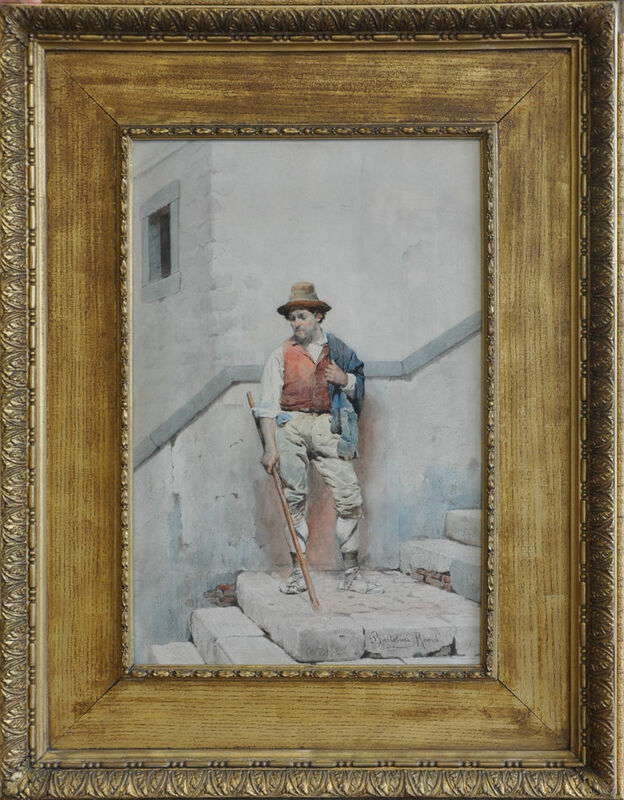 In the 1880s we begin to see his very neat oriental watercolours, probably made from photos and Accessories Workshop exhibitions in Brussels in 1881 and Rome in 1883 among others.